Amsterdam bike tour is proud to present to you: Amsterdam, city of bikes, tulips and canals. 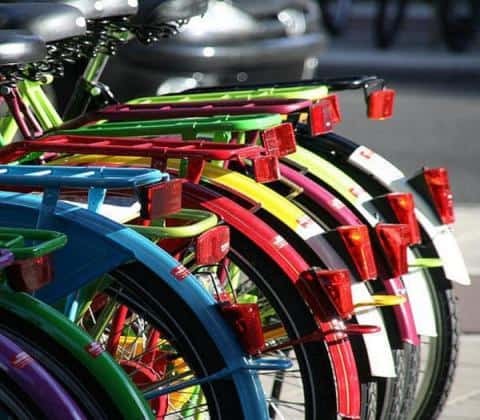 The world biking capital has become synonymous with the most sustainable, scenic and healthy method of transport there is. Offering unparalleled views of the city, we will take you where the other tours do not. Biking through Amsterdam comes naturally to the locals, but might offer a challenge for you as a visitor, particularly in the hectic downtown area. We offer you three different, completely unique, specialized Amsterdam bike tours that no one else does. Book an Amsterdam Bike Tour today! We are a small, friendly tourism tour operator specialised in guiding small groups (max 10 people) on Amsterdam Bike Tours throughout the city we love. On every tour, we use a local well-trained guide who knows the ins and outs of the city like no other. Our guides speak English fluently. We also offer Spanish, German, Portuguese, Chinese and Russian speaking guides (on demand). 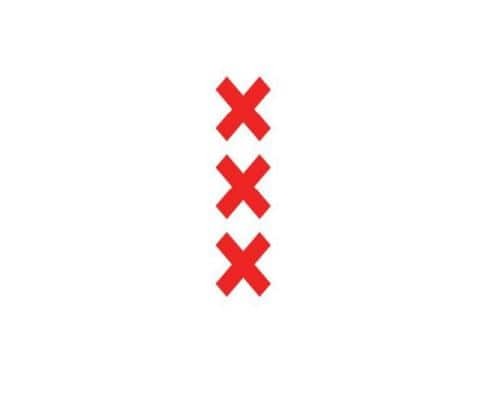 Amsterdam is a city on the move. It is a small, densely populated area with a high volume of traffic. 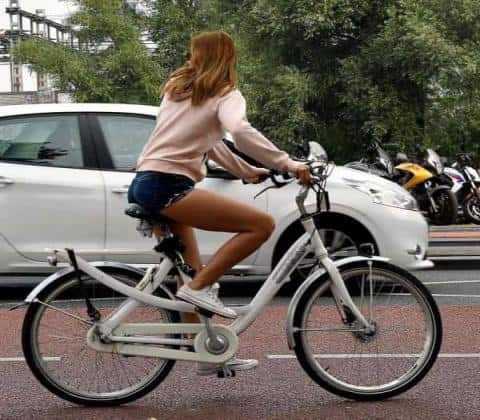 Traffic does not only mean cars in the Netherlands – think of trams, busses, pedestrians other bikes forcing you to stay alert as you navigate through the city. With this in mind, our expert guides will guarantee your road safety as we wind our way through the city on broad, safe bike lanes. We believe that biking in Amsterdam is the best way to enjoy this beautiful city. Come ride with us to see the hidden gems off the beaten path. Saddle up and book a tour today – we guarantee you will witness something special as you pedal! You can admire all these unique elements that represent Dutch history and more just outside Amsterdam on the Windmill/Landscape Bike Tour. The Windmill/Landscape Bike Tour takes place in the south east of Amsterdam. 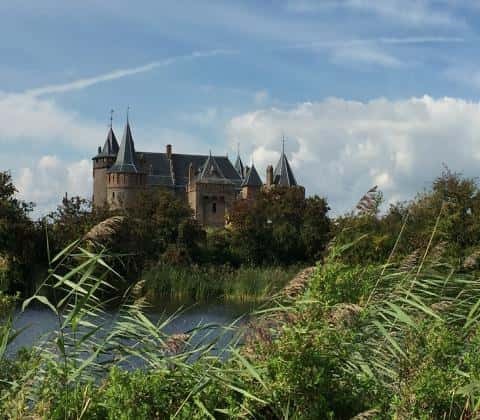 This special tour away from the crowded city visits four historic villages: Weesp, Muiden, Muidenberg and Naarden which are all connected via picturesque bike paths. It’s called the Windmill Tour because we will encounter five different types of windmills as we ride. Take a look at the Windmill Tour detail page for the full lowdown on all the other amazing sights, and book today to saddle up and join us! 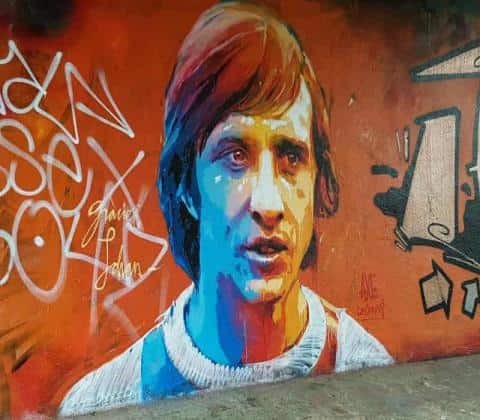 Amsterdam Bike Tour presents to you the legendary Johan Cruijff. This attacking number 14 is one of Holland’s finest exports, mentioned in the same breath as Van Gogh, Rembrandt and Anne Frank. Cruijff was one of the world’s top football players in the 20th century, rivalling Pelé and Maradona. Born in Amsterdam in 1947, he won the European Cup (nowadays Champions League) with Ajax in the early seventies an incredible three times consecutively, and represented the Dutch national team 48 times, scoring 33 goals. As manager, Johan was responsible for bringing the European cup to Barcelona for the first time in 1992. His legacy lives on, as Barca still play the Cruijff way today, his passing style frequently emulated the world over. Cruijff was a true Dutch legend in his playing years, during his management, and also off the pitch for his insightful, outspoken and often straight-forward views on life. A genuine Amsterdammer, we will present Johan as you have never seen before. Amsterdam Bike Tour presents to you: Bikes, Tulips, Canals and Coffeeshops. The Netherlands, and Amsterdam in particular, is famous globally thanks to its tolerant soft drugs policy. 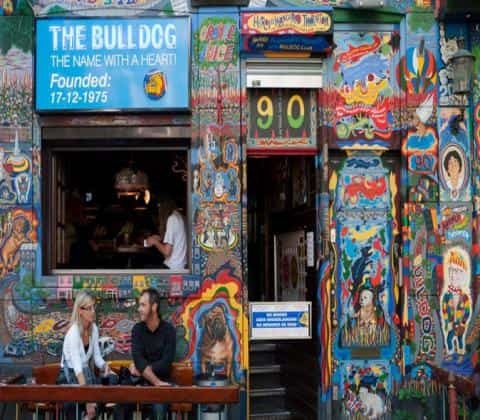 Amsterdam has allowed coffeeshops to sell hash and weed since the turn of the seventies. These establishments have become a place to have a cup of coffee and get high thanks to the relaxed laws on smoking cannabis. As we bike, you will smell the whiff of marijuana in the city centre streets. Why did the Dutch decide to decriminalize it? What are the reasons behind this thinking? 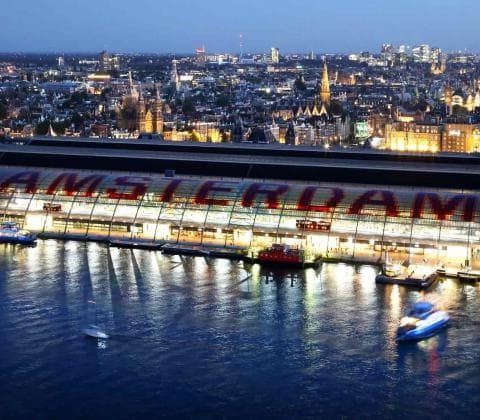 And the Dutch conundrum – how can a coffeeshop be allowed to sell marijuana but not purchase it? All this and much more on the Amsterdam Bike Tour. We have 267000 bike racks at Amsterdam Central Station? As you might know we have fantastic, quiet and safe wide bikepaths outside of the centre. That for us is a guarantee that you’ll enjoy our Amsterdam Bike Tours to the fullest.